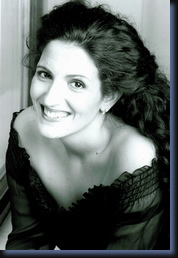 Dramatic mezzo-soprano Cheri Rose Katz has distinguished herself for her “beauty of tone and stylish musicality”. Her outstanding talent captured the attention of the Deutsche Opera Berlin, which engaged her for two seasons in over one hundred performances of the great Verdi and Wagner roles. Her repertoire includes; Azucena, Amneris, Ulrica, Maddalena, Eboli, Preziosilla, Enrichetta, Frugola, Waltraute, Fricka, Venus, Ortrud, Kundry, Rossweiße, Flosshilde, and Erda. Additional engagements include: the world premiere of Anton Coppola’s La Coupe et les lèvres (for which the New York press hailed her as “the polished mezzo-soprano”); Giovanna in Ernani at the Berlin Philharmonie with Renato Palumbo; Rossweiße in Die Walküre at the Festspielhaus Baden-Baden under Christian Thielemann; Amneris in Aida for Opera Internationale on tour; Maddalena in Rigoletto in South America; Handel’s Messiah in Israel, which was internationally televised in Manger Square in Bethlehem; excerpts from Carmen, Cavalleria Rusticana, and Don Carlo in Italy; Prokofiev’s Alexander Nevsky Cantata with the Sinfonica de Puerto Rico in San Juan, about her part in which El Vocero wrote, “Cheri Rose Katz displayed a rich voice of dark, majestic timbre and deep sonority. The long musical phrases, constructed with great skill and excellent articulation, were very organic”. In May 2010, Naxos released an International World Premiere recording of Lorenzo Palomo’s Dulcinea at the Konzerthaus Berlin; which Ms. Katz received much attention. Ms. Katz is an International prize winner of various competitions and a five-time recipient of grants from the Gerda Lissner Foundation and a winner of the prestigious Altamura/Caruso International Voice Competition. The mezzo is of Austrian and Italian decent and holds both Austrian and American citizenship. Ms. Katz, now resides in Berlin, Germany. Recent engagements include Erda in Das Rheingold and Siegfried and Waltraute in Götterdämmerung through Paris, Porto and performances at the beautiful Teatro Reggio Emilia in Italy. She collaborated with conductor, Scott Speck and the Mobile Symphony singing Prokofiev’s Alexander Nevsky Cantata. As well as the alto soloist in a World Premiere Requiem with the New Jersey Symphony and a Verdi Requiem in London. She premiered as Erda,Fricka, and Flosshilde in Der Ring in 100 Minuten with the Rundfunk-Sinfonieorchester Berlin, which will be broadcast on Deutschlandradio Kultur and recorded on CD. The production returns in October 2014. More upcoming engagements include Preziosilla, in La Forza Del Destino and Mahler's Das lied von der erde in November in Miami. Engagements in 2015, include Fenena in Nabucco in Frankfurt and Versailles. Verdi Requiems in London, 2016.